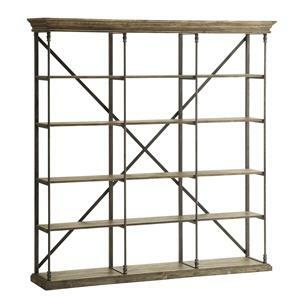 Rustic and bold, this bookcase has the natural charm of reclaimed wood. Finished in a warm and neutral Hylas Medium Brown, it has a slab top, balanced with a slab-style base, both with beveled edges. Four shelves provide plenty of space for books or decor. 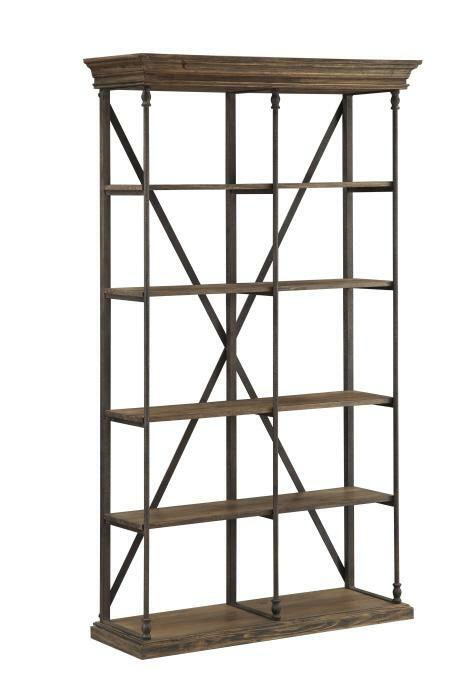 Iron legs and accents offer an industrial feel as well as support. The Coast to Coast Accents Bookcase by Coast to Coast Imports at Zak's Home in the Tri-Cities, Johnson City, Tennessee area. Product availability may vary. Contact us for the most current availability on this product.